Whitchurch Friday Market has been operating for over 60 years. 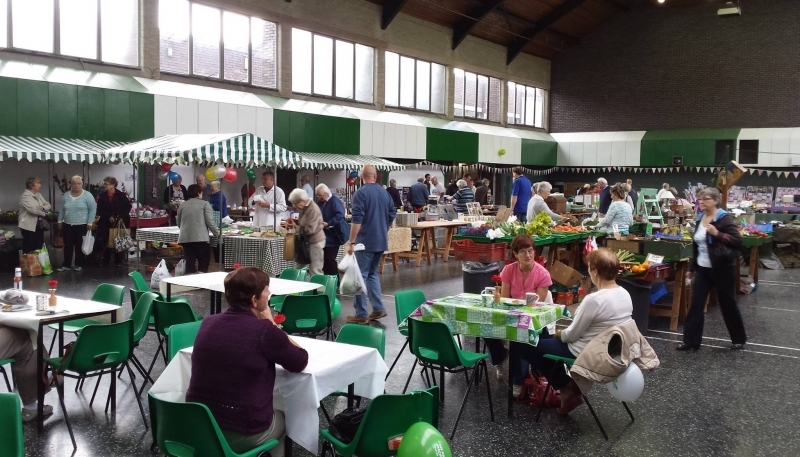 The Market takes place every Friday from 7.30am – 12.30pm in the heart of Whitchurch, both inside and outside the Civic Centre and Market Hall. We have a wide range of products on offer from fresh fruit and vegetables, bacon, sausages, fresh fish, homemade cakes, preserves and pies to books, watches, flowers, greetings cards and CDs. Why not have a break from shopping in Sue’s Market Café – our market café has a 5* hygiene rating? Hot drinks, breakfast items and baked goods are available at very reasonable prices. To book a stall please contact the Community Hub on 01948 665761.